Pachgaon is a small village located in the Gondpipri taluka of Chandrapur district and has a population of 60 households. 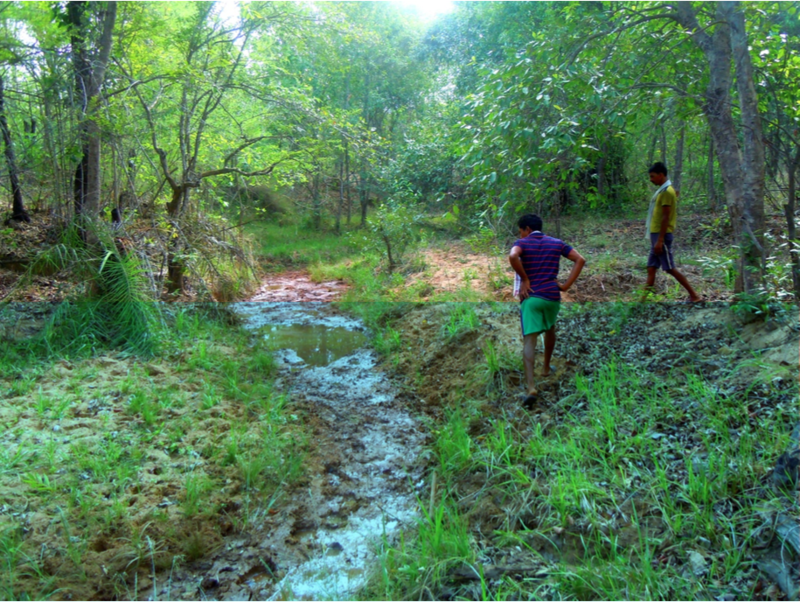 Earlier the forest area in Panchgaon belonged to the malguzarsor revenue collectors, when the Malguzari system or land revenue system was prevalent in the area. Later it was declared a Reserve Forest and the villagers had no nistaar or customary rights over their forest and had to either steal resources such as firewood from the forests or bribe the forest guard. The Forest Department (FD) had monopoly over the forest. Farming as a source of livelihood was not possible as the inputs could not be afforded and thus remained small scale. There was distress migration as there were no employment opportunities. The sale of the NTFP collection done under Joint Forest Management (JFM) would go directly to the Forest Department’s account. The department restricted the villagers from grazing in the forest land or collecting firewood and either way they would have to give the FD officials money, livestock such as hens, rice or red chillies. They were looked at as intruders into the forest. A lot of them had to resort to distress outmigration. With the help of a local NGO, Paryavaran Mitra, they accessed employment under National Rural Employment Guarantee Act (NREGA). Soon they learnt about the provisions of Community Forest Rights (CFRs) under the Forest Rights Act (FRA), which would enable them to govern their own forests. They filed their claim for 1006.416 ha of forest land on 17th December 2009. But it was a struggle to obtain this. For three years repeated reminders were sent to the government officials and departments, which got no reply. Villagers had to frequently visit various departments. Meanwhile the FD also created another set of challenges for them. They tried to prove their claim wrong in numerous ways. The villagers threatened to launch “One villager cuts one bamboo” satyagraha (lit. struggle for the Truth). Finally, their claim was granted on 16th of June 2012. A gram sabha (assembly) was formed by the villagers to take all the decisions. A lot of steps was taken towards community conservation. But the struggle did not end there. Any paperwork issue took a long time to sanction. The bureaucracy and government departments kept on finding many ways to oppose the self-rule established by the villagers. A conflict occurred between the Chief Conservator of Forest (CCF) and the villagers, resulting in a blockade by the villagers. Several cases of violation by the Forest Department still exists, exploiting community members despite CFR recognition. Project Details There is no company involved here but the conflict is between the forest department and the local people, mainly because of creation of a reserve forest in the region. Development of Alternatives - Decentralised governance: A Gram Sabha (GS) was established to put together various management rules and principles to help with a sustainable forest governance and conservation. For example, the money from the sale of bamboo goes to the GS account. Wages are given on a monthly basis . 10% of the wages is retained to be given during the monsoon season when bamboo cutting is stopped for four months. - The villagers have decided to stop the sale of tendu leaves (used to wrap beedi/cigarettes) and mahua flowers (used to make alcohol) due to health reasons. Why? Explain briefly. Panchgaon has put in place very conservation centric management mechanism that ensures habitat conservation. There are clearly demarcated areas, Devrai, where no cutting and grazing is allowed. Increase in wildlife has been spotted. 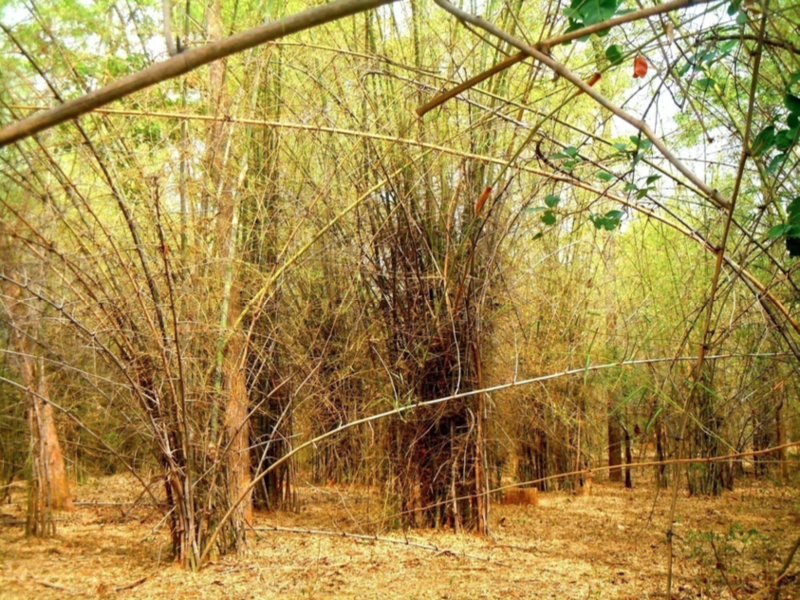 Sustainable extraction of bamboo is practised that also enables livelihood security. Overall village and forest development has happened.